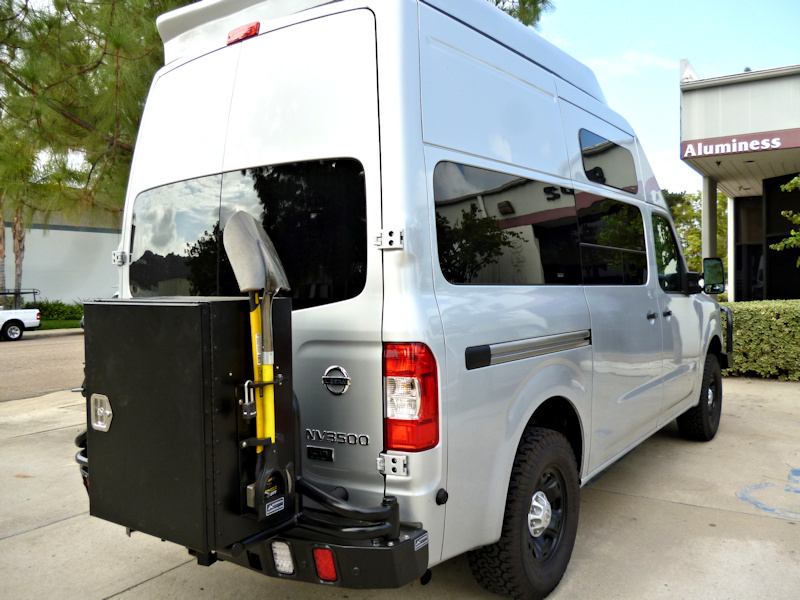 The Nissan NV is the newest entry into the van market and owners are customizing interiors and outfitting their vans for camping and off-roading. As always, storage is at a premium. 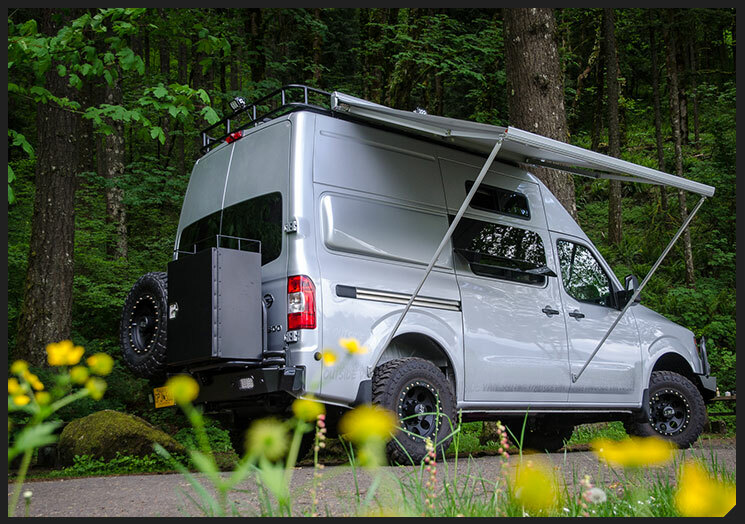 Aluminess has an aluminum rear bumper that solves this problem with dual swing-outs and multiple storage solutions to fit your needs. 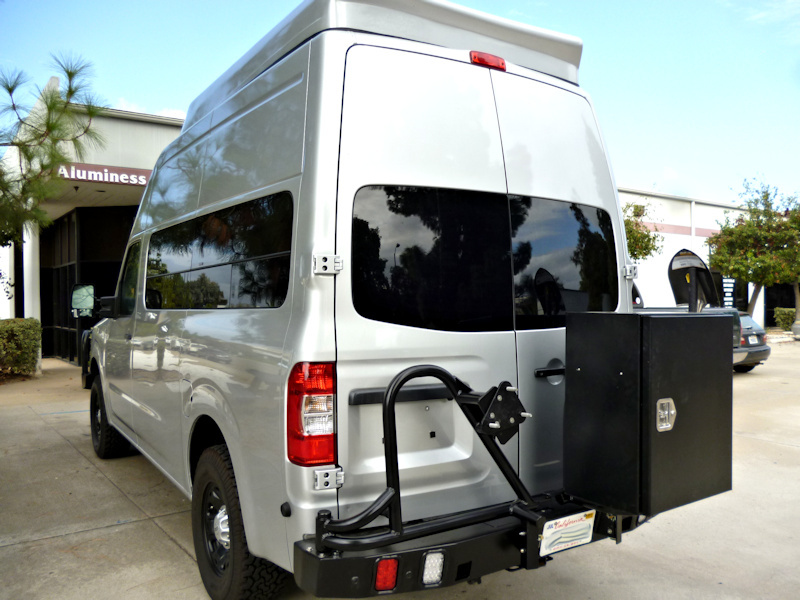 Whether you need to bring extra fuel, a generator, tools, or a variety of other things, your Aluminess rear bumper can carry it. 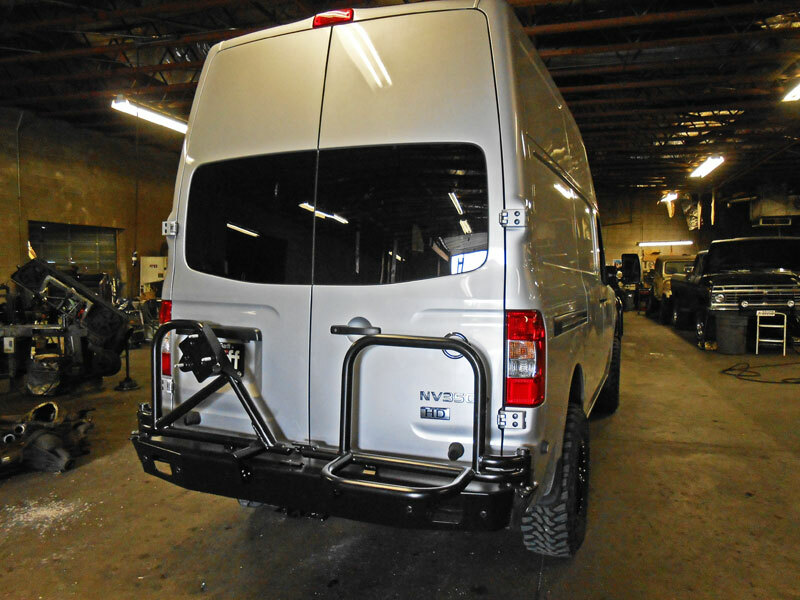 You can even fit a full-size spare on a swing arm to ensure that you can get home safely in case you get a flat. 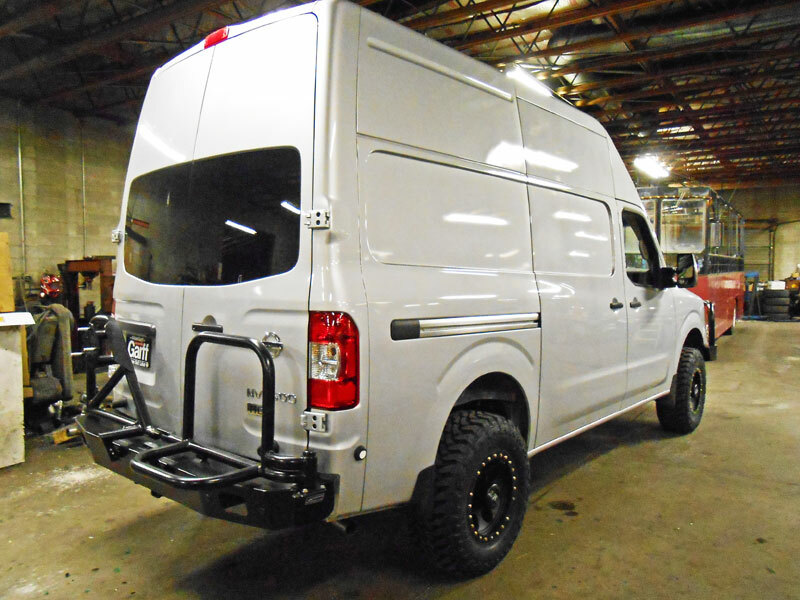 Satisfy your off-road and outdoor desires with this light-weight aluminum bumper.